Readers offer their best tips for avoiding data overages on your mobile phone account, bypassing the New York Times paywall, and changing the font size in Google Reader for Android. Looking for yet another way around the nytimes.com paywall? Use Instapaper! Just drop the bookmark onto your toolbar, click on the article you would like to read, and then click the Read Later bookmark. The article will show up in your Instapaper queue just like any other. I tried this a few times today to test it out. No problems yet. I've also heard this works with the Reader function in Safari, so it probably works with most or all of these Readability-type services. You can quickly change the text size in Google Reader App using pinch to zoom. This may not work on every phone; for some reason I could not get it to work. It did, however, work on Adam's Samsung Captivate. The (newer) Gmail contact manager was giving me trouble today; trying to save each incremental update as I entered info into various fields. Moving between contacts and returning later, I found things were NOT saved and was forced to retype my notes, numbers and emails. 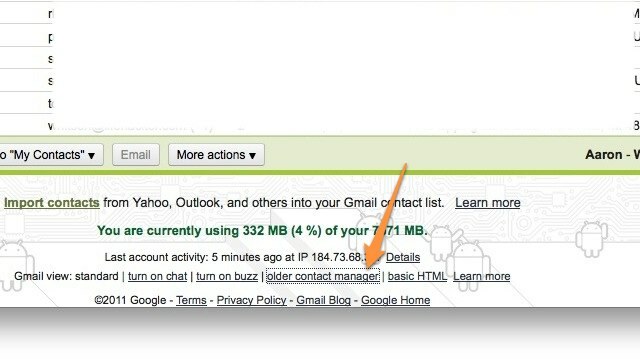 The next time this happens, scroll all the way to the bottom of Gmail and click the "older contact manager" link. The layout might not look as pretty, but functions (and retains my contact updates) perfectly.